Yesterday was a big day at Fenway Park. The Red Sox got their World Series rings and then went out and trounced the hated Yankees 8 to 1. I am not a Red Sox fan nor am I a Yankees fan. But I am a fan of sports, rivalries, drama, and fandom. And for all of that, there is nothing better than Yankees vs. Red Sox. I am also a fan of Boston. I spent four years there in college and lived in Kenmore Square in the shadow of Fenway Park. There is another Fenway Park in Boston, called The Fenway [click on this link – it’s a cool satellite image of The Fenway and Fenway Park]. It’s a grand urban park in the vein of Prospect Park or Central Park, but its fallen on somewhat hard times. It’s not what it once was. But I loved to wander around The Fenway when I was in college. It has this magical feel to it. Jonathan Richman also loves The Fenway. His Rockin and Romance album is out of print, but I got my $15 copy of the digital master from TwinTone yesterday. I listened to it last night. My favorite song on the record is The Fenway. Jonathan captures the magic of the place so well. 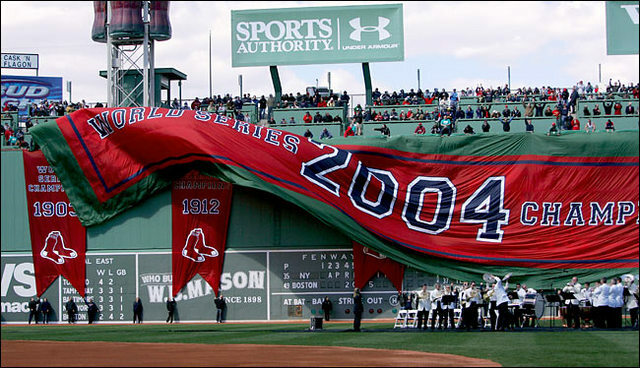 Give it a listen in tribute to Boston, Fenway Park, the Red Sox, and The Fenway.